High heels on but nowhere go to? Meh, relax, your next week’s fun in Cambridgeshire is covered, dusted, buffed and positively frou-froued. Looking good, out you go and don’t do anything I wouldn’t do. Don’t forget to scroll down to the early bird section – we want to make sure you get in on the fun. They’re been all over TV and radio – BBC1, BBC3, ITV1 and ITV2, BBC Radio 1 and BBC Radio 4, but now’s your chance to see this comedy sensation LIVE! 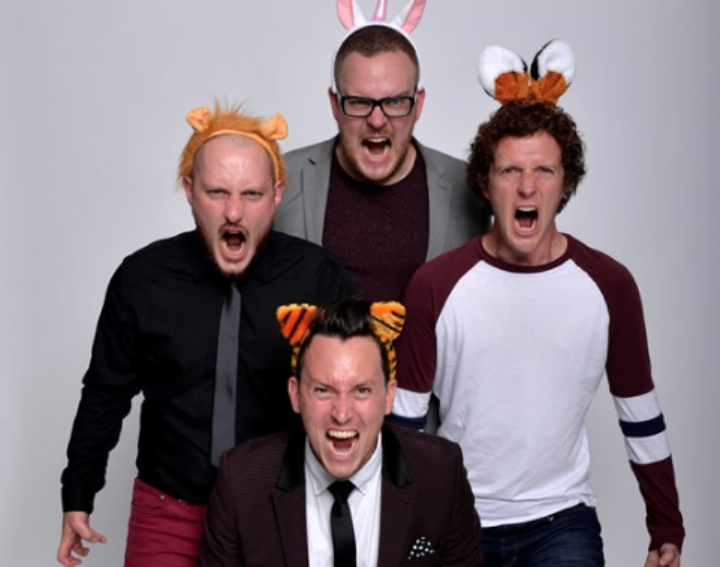 The Noise Next Door are on the road with their fourth nationwide tour Uproar where they transform audience suggestions into a fantastic and fresh new entertainment experience. See Wimpole in a new light at this after dark event with live music and a choice of tours of the house, gardens and parkland, all taking place alongside the annual Night Run. Not into the running lark (meh, me neither) take it easy and enjoy the jazz and blues music from The Accidentalists on the Old Rectory Restaurant Terrace. Fancy a walk, why not wander through the gardens to hear storyteller Polly Howat telling a spooky Fenland tale The Green Mist in the Gardeners’ Cottage (wouldn’t suggest this for kids under 12). A night walk in the parkland with NT forester Simon Damant with a fire and marshmallow might be more of an adventure, or if you would prefer indoors take a a tour of the impressive Hall. 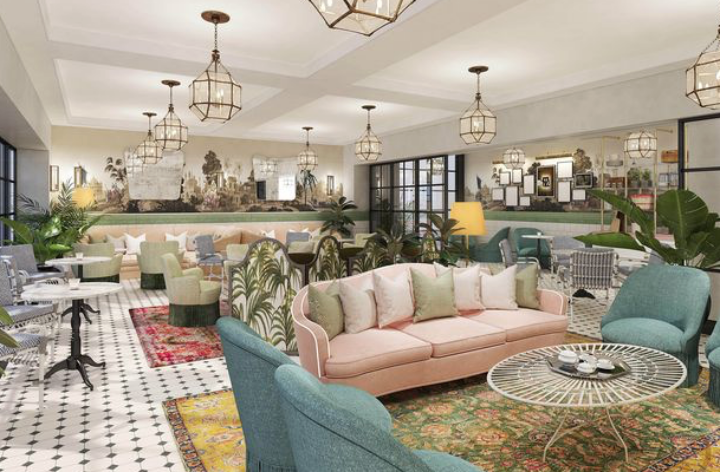 Thinking of shimmying into Cambridge this weekend then why not trot on down to the brand new and spankingly cool hotel – The Tamburlaine. 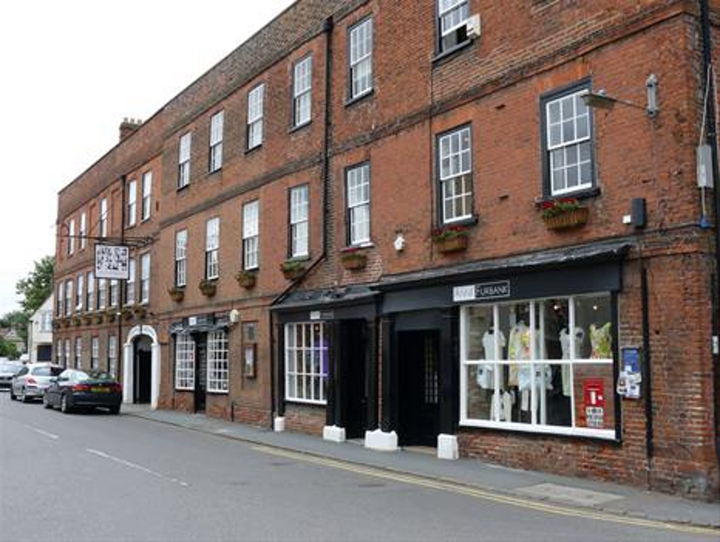 Located in the fast-developing area of the city centre dubbed the ‘railway station quarter’ the hotel hosts a brasserie-style restaurant, cocktail bar, glass-walled wine room, terraces, ornate garden room and a retro-chic deli/cafe. Check out the cocktails this weekend and have a nose around – I’m just luuurving this jungle themed garden room. I’m really Sorry about this one – who else remembers the video of Madonna in her skimpy leotard – just looking dreadful (*cough*)? Well this weekend you can have a stab at reenacting this film at the Rollers family skate session – complete with lighting, a sound system and our resident DJ taking your special requests. So if you can dance (get it? ), enjoy music and want to skate, this is the place for you. Even if you’re a little unstable on your feet, don’t worry, there are friendly skate stewards on hand to help out – like this helpful young man here – yeah really! If you’re a regular festival goer you might have already sunk into one of these beautifully crafted cedar wood hot tubs or barrel saunas – they’re at the Secret Garden Party for starters, but if not, they’re coming to Bourn this year in a series of pop up events. A chance to relax and re-energise at this unique fresh air spa inspired by the Scandinavian tradition of outdoor bathing to tackle the cold. You’re not abandoned in the middle of field – the sauna comes with hot and cold drinks, chill out areas with fire pitches, hairdryers and straighteners, lockers and showers. Come rain or shine, this experience is apparently even more refreshing when raining – convinced?! I’ve just heard that the delicious street food bus Steak & Honour will be flipping delicious burgers too – you’ll feel relaxed on the outside and stuffed on the inside. Can’t make this date (or too scared of the cold, me too) then they’re planning a special Mothers Day weekend on 25-26 Mar. Yep I’m determined to get you in the cold this weekend and here’s another outdoorsy activity for you. 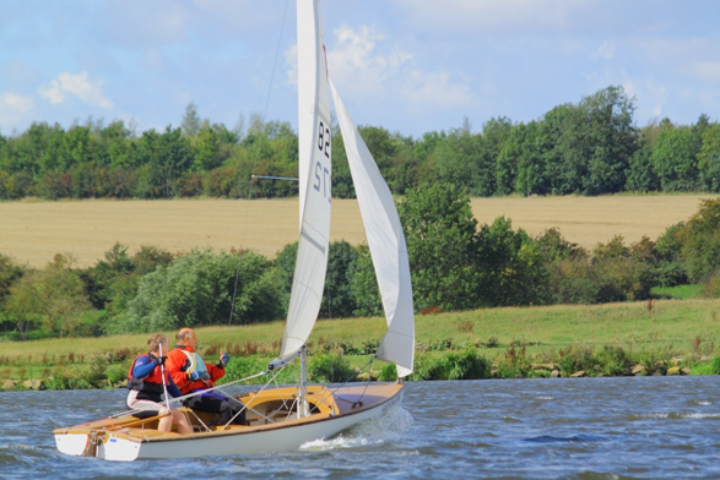 Nene Outdoors, part of Nene Park Trust, are running adult taster sessions this weekend for anyone interested in learning to sail or windsurf. For gawd’s sake put a wetsuit on – it’ll be freezing, but a great opportunity to get ahead of the game and learn to enjoy the excellent water facilities that we’re lucky enough to have in Cambridgeshire. Following the sell-out success of 2016, Cambridge Footlights are back by popular demand showcasing the finest sketches, songs and stand-up from some of the country’s finest student comedians. The world-famous comedy troupe first aired the talents of some of the foremost British comedians and actors of this century including Stephen Fry, Hugh Laurie, Emma Thompson, Trevor Nunn and Peter Shaffer. 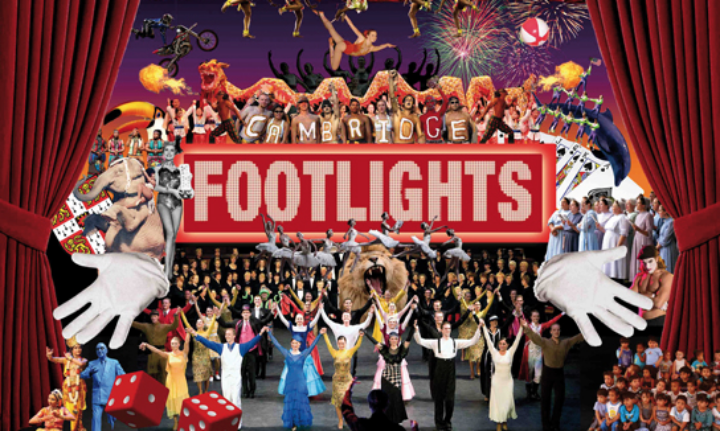 You’ll get a triple whammy as joining the Cambridge Footlights will also be the Oxford Revue and Bristol Revunions. If you can’t make this date then they’ll be back again on Sun 19 Mar with the Durham Revue and Leeds Tealights. 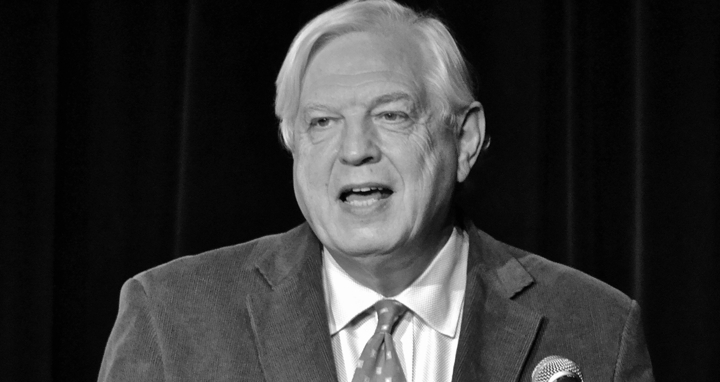 A living legend amongst news correspondents, John Simpson returns to Ely to talk about his book We Chose to Speak of War and Strife which brings us pivotal moments in our history – from the Crimean War to Vietnam; the siege of Sarajevo to the fall of Baghdad – through the eyes of those who risked life and limb to witness them first hand, and the astonishing tales of what it took to report them. 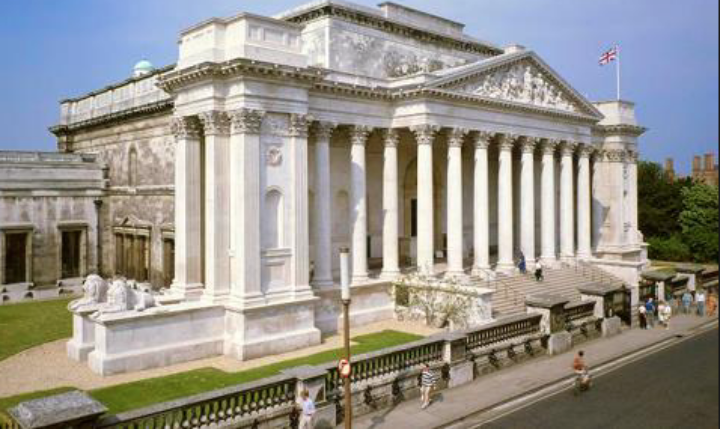 A chance for the young ones to join in the fun of the Cambridge Science Festival and discover the science behind some of our best-loved artworks. Sessions will be run in collaboration with the Whipple Museum of the History of Science and will include hands-on exploratory activities. Cambridge Arts Theatre will be hosting a range of talks and interviews with female directors, actors and producers, alongside three incredible productions about remarkable women. Each has been written by an acclaimed female playwright: Sandi Toksvig, Caryl Churchill and Jessica Swale. Silver Lining (7-11 Mar) is a new comedy by Sandi Toksvig that tells the story of five extraordinary yet forgotten women who come together one treacherous night to recreate The Great Escape – senior citizen style! Escaped Alone (14-18 Mar) is Caryl Churchill’s acclaimed dark comedy starring Linda Bassett (Call the Midwife). Three old friends and a neighbour sit idly and chat one afternoon, slowly they reveal shocking details about their lives and flashes of an apocalyptic future. Nell Gwynn (21-25 Mar) is Jessica Swale’s warm-hearted, bawdy comedy which tells the story of an unlikely heroine, who stole the heart of King Charles II. This production stars the Olivier nominated Laura Pitt-Pulford. A little tip – Hot Numbers Coffee Roasters, in the centre of Cambridge, needs to be in your little black book. Not only will it deliver your daily caffeine hit but so much more. On a Thurs and Fri evening they invite the cities ever growing vibrant street food vans to park up outside – Thurs it’s The Wandering Yack and Fri Steak & Honour. 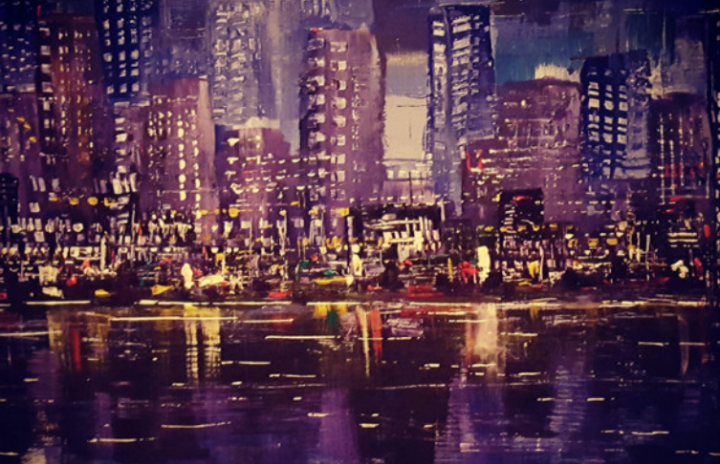 It doesn’t stop there – the artist David Nunnery is exhibiting his latest collection, Streetlife, with a focus on contemporary urban landscapes. To top it off they run a series of music gigs throughout the week. If you’re into reggae music Afro Tema is playing on Fri 17 Mar – he plays original afro-latin, reggae, and mbalax music from Senegal creating a sound that is warm-spirited and hugely danceable. The start of spring is upon us and if you’re thinking of banishing woolly socks and lumpy jumpers to the back of the wardrobe then Spring Fashion Week will give you an idea of what we might be wearing this summer. Whether you’re after a low-key look or you’re desperately trying to find something to wear for a summer wedding – plan ahead and resist that rash impulse buys (guilty as charged). Nothing more frustrating than coming across a really cool band or pop up that’d you like to see but find that all the tickets have been snaffled. This early bird section will give you a nudge to help you get in on the fun. A new pop up supper club has formed in Cambridge and it’s all rather spicy. Inder’s Kitchen will highjack the Hot Numbers coffee shop on Trumpington Street again for the second round of the World Curry Supper Club – this week it’s a taste of Thailand and they’ll be serving wines and beers that are perfectly matched to the dishes being scoffed. Explore the wonders of Nature at the Poles! 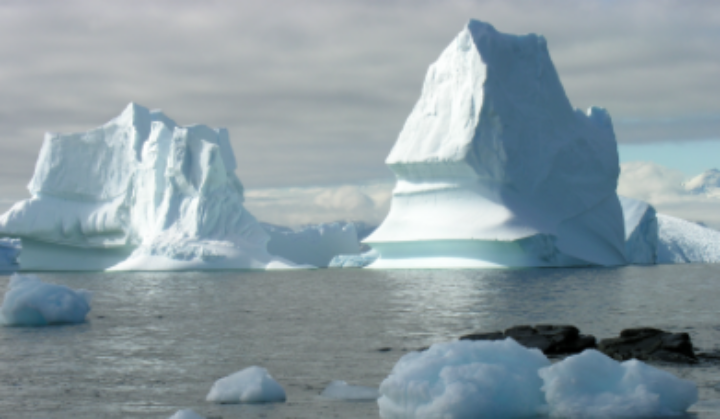 Penguins, plants and colour changing skies will all be on the menu at the Polar science activity day. There will be range of drop in activities for ages 3+. There’s a teen takeover planned for the Bedford Clanger later this month. If you’re aged between 13-19 and interested in a career in journalism, publishing, photography, illustrating or graphic design then they’d love to hear from you.The entire Sept issue of the mag will be written and designed by teenagers and the big meet is on 25 March when the team will meet the mentors (professionals from within the industry), discuss ideas and set assignments. Arriving with a caravan of hobby horses, two acrobats transform an empty stage into a charming circus ring with the help of a band of musicians. This plucky circus troupe’s quirky show begins with a monkey playing guitar. Elephants and snakes are conjured from thin air, twinkling soap bubbles float in half-light, an underwater diver flips and twists in front of your eyes. There’s juggling, sword swallowing, hula hooping, acrobatics and clowning, all performed to live music. Around is a show in which the unimaginable is made possible. Captivating and performed with beautiful skill and artistry, it is perfect for little ones and their families. Thing’s get snapped up quickly at the Corn Exchange so I’m giving you plenty of time to check the diary or cancel a friend. Sat 15 Apr, Omid Djalili – part of his Schmuck For a Night Tour. Wed 19 – Thurs 20 Apr, Ben & Holly’s Little Kingdon- one for the kids this Easter hols.